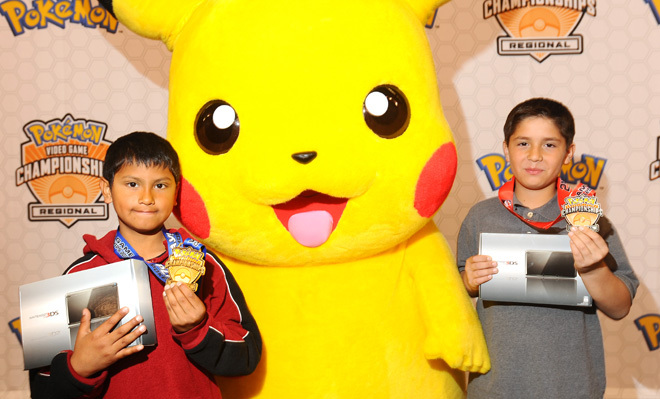 Pokémon is nearly twice as old as some of its biggest fans: Bernie Mora, 8, and Gerardo Gonzales, 10, took home first and second prize in the Juniors division of the Pokémon World Championship regional division in San Jose earlier this year. Pokémon ? Isn’t that so 10 years ago? Not hardly. One would have been forgiven, back at the turn of the century when All Nippon Airways was painting its fleet of 747-600s with giant images of Pikachu, for thinking that the bestiary of battling critters was just the faddish flavor of the month. Certainly it was destined to go the way of Pet Rocks, Beanie Babies or that other flash-in-the-pan unpronounceable Japanese export, the Tamagotchi. But not Pokémon . In its various incarnations as a cartoon, Nintendo game and trading cards, the franchise has maintained its popularity. By some measures, it’s bigger than ever: The latest games, Pokémon Black and White , were the first to sell more than 1 million units in their first day of availability in the United States when Nintendo launched them this March. In Japan, the games sold 2.6 million copies in the first two days. On Monday, Oct. 24, Nintendo will release the first game in the series for Nintendo 3DS, an action game called Pokémon Rumble Blast . Games are just one slice of the pie. Soon after Nintendo launched the game and its attendant tie-in products in 1996, the tail began to wag the dog. The trading card game, a kid-friendly version of Magic: The Gathering, became popular in its own right. Originally published by Magic maker Wizards of the Coast, the trading card game is now produced by The Pokémon Company, an independent Nintendo affiliate that was spun off in 1998 to handle the whole shebang: games, TV, toys and airplanes. In other words, Pokémon did what Super Mario attempted, but ultimately couldn’t — broke out of the world of videogames and became a true multimedia sensation. How did it do it? That’s the thing: Nobody really knows. It’s a mystery. Frazier calls it the literal “billion-dollar question.” If there’s a secret sauce, the recipe would be worth untold amounts of birthday-card money. Nevertheless, the Pokémon team has some best practices it employs to attempt to keep the momentum rolling like a runaway Donphan. Pokémon game director Junichi Masuda believes there are three pillars to its success: solid gameplay, believable characters and the element of communication. Much of Pokemon’s success must be attributed to the first: a foundation of unwaveringly excellent videogames. As a kid, Tajiri would throw different species of bugs into bottles and watch them fight. This would eventually inspire 1996’s Pocket Monsters , a game for the aging black-and-white Game Boy in which players searched through tall grass to capture 150 fantastic creatures, then pit them against each other in battle. It was a smash success in Japan, and Game Freak’s days as a maker of low-selling cult games for their fellow geeks and freaks of Akihabara were over. Japanese-made games aren’t as popular in the U.S. today as they were in the mid-’90s when the first Pokémon was released. But the series has been an enduring exception. Masuda says keeping the game simple, focusing on that core gameplay of head-to-head monster battles, is what makes keeps Pokémon titles appealing all over the world. The battles are modeled after turn-based role-playing games: Each character has an infinite amount of time to select his attacks, trading off turns with the enemy. For Game Freak, it’s about keeping that game as balanced as rock-paper-scissors — but with 150 monsters. Game Freak believes this too, which is why it made a drastic decision with Pokémon Black and White . To keep the series from becoming stale and level the playing field for new Pokémaniacs, Masuda decided to push familiar faces like Pikachu into the background and design an entire new bestiary for the new games: 150 all-new monsters. 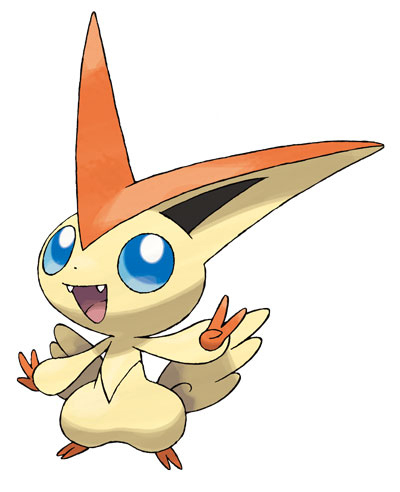 To create new Pokémon like Victini, above, the graphic designers at Game Freak go through a variety of checks and balances to make sure the new creations don't look like the hundreds of other creatures. “When you’re developing a game, you always want to surprise the audience with something new, imagining how their expressions will be when they play it,” Masuda says. Even so, building a whole new fictitious taxonomy from scratch wasn’t the easiest sell within the company. “When I first told the graphic designers how many new Pokémon they needed to come up with, they were a little worried,” Masuda said. Oh, whatever: Just crank out any old thing and the kids will love it, right? Maybe so, but that’s not how Pokémon plays it. Graphic designer Mana Ibe says her team goes to great lengths to ensure that the new designs stand apart from the old ones. “There’s no just taking an old Pokémon and modifying it,” she says. Every time a designer finishes a new Pokémon, Ibe says, he or she will take it to the longtime Game Freak employees — the men who stare at Golducks. If it passes muster with them, it goes straight to company co-founder Ken Sugimori for the final OK.
“The inclusion of the collectibility element seems to be contributing to the lifespan of Pokémon,” says NPD’s Frazier. Certainly the producers of the trading card game are not complaining about the massive injection of new monsters; kids want one of everything. Masuda’s third pillar of Pokémon success is “communication.” Like the Pokémon themselves, the meaning of that word has undergone substantial evolution. The first Pocket Monsters games were built around a little-used function of the black-and-white Game Boy units: A cable could be used to link two of the handhelds for multiplayer games. These shipped with the original console, but few players used them before Pokémon ; the portable Game Boy with its personal screen was usually a solitary activity. Pokémon made it social. Since then, many Pokémon titles have served as an early testing ground for new communication tech: One Game Boy Advance version was bundled with special wireless adapters, and a Japan-only version of the game let users battle online by connecting their Game Boy Color to a cellphone. The latest games take it a big step further: You can connect them to your PC using the website Pokémon Global Link, a social network in which you can meet other players, see battle rankings and get new monsters and other bonuses in your game. It’s a much more robust online community than any other Nintendo game can boast. This is largely due to the fact that The Pokémon Company isn’t exactly the same thing as Nintendo. It’s a privately held company of which Nintendo, Game Freak and trading card maker Creatures all hold percentage shares. The end result of this arrangement is that the joint venture has more flexibility. 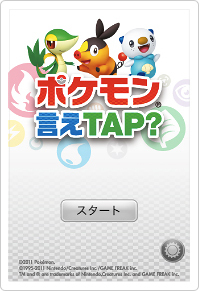 The iPhone and Android app Pokémon: Say Tap? is meant to promote the brand, not replace the Nintendo games. But the company can put software on non-Nintendo platforms that would be considered “promotional.” That’s why, even though you’d never see a Nintendo character in an iPhone app, the Company can release Pokémon: Say Tap? , a mobile phone game in which players rhythmically tap on Pokémon trading cards to the beat of one of the songs from the television show. Or why Pokémon can bring its games to the PC using a freemium model. The Trading Card Game Online website lets kids build and battle with virtual card decks, by purchasing codes online and in stores that add to their arsenal. The online card game is all about teaching new players the ropes in a pressure-free environment, says Smith. The Pokémon Company holds many official card game and videogame tournaments around the country that attract thousands of competitors. In August, it brought players from around the world to San Diego to crown the Pokémon World Champion, giving out thousands of dollars in scholarships to the victorious Victinis. Hard as it may be to believe, Pokémon turned 15 earlier this year. If the Pikachu jumbo jet can stay up in the air, soon enough the first generation of Pokémon players will be battling with their kids.